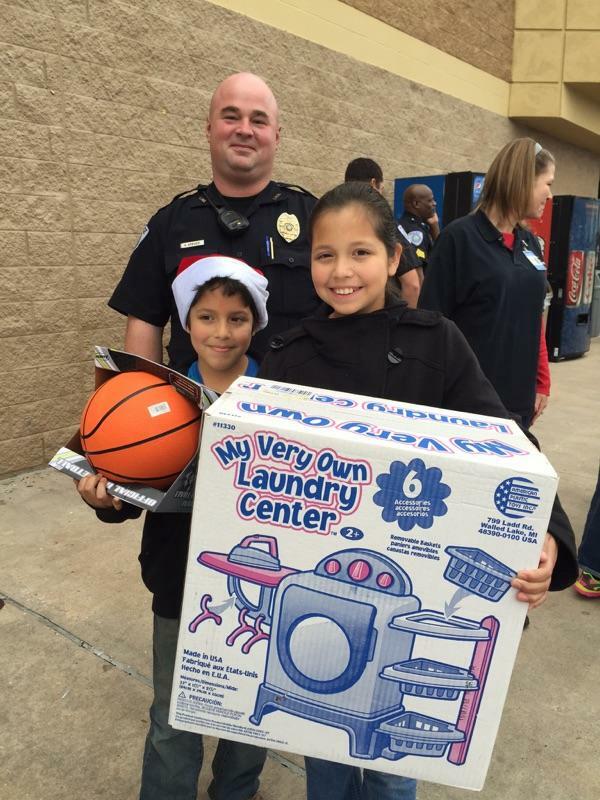 Officer Marty Drake with Livingston PD speaks to parents and children at Livingston Walmart on Saturday. 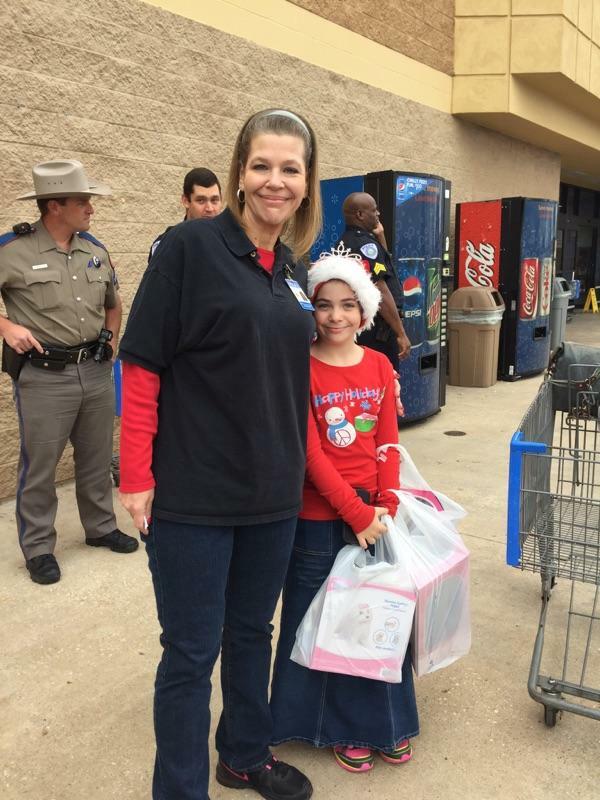 Shop With a Cop, Local Law Enforcement Takes Local Kids on Shopping Adventure, LIVINGSTON, December 20, 2014 - Officers with Livingston Police Department, a State Trooper, and a Texas Ranger gathered at Livingston Walmart and took 13 lucky local kids out to eat a McDonalds and then shopping in the store. 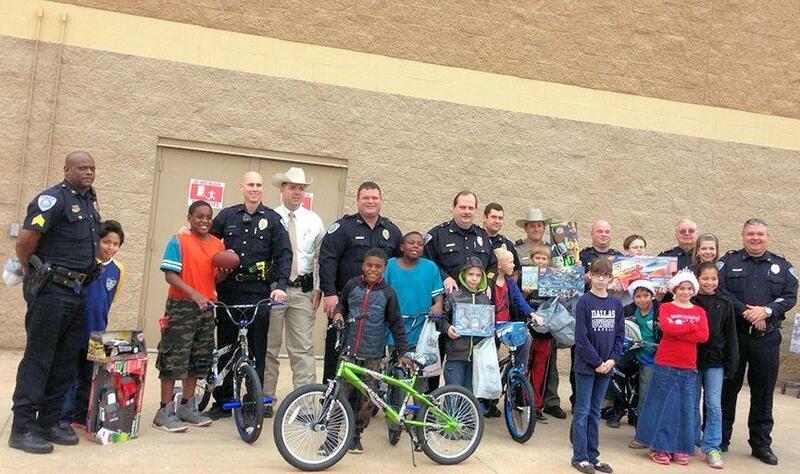 Walmart was generous enough to provide the officers with $50 gift cards to spend on the kids. Any amount that exceeded $50 was on the police. Most of the kids were accompanied by their very happy parents. The group went to McDonalds (the one inside Walmart) first, enjoyed a generous breakfast provided and paid for by McDonalds. After breakfast, the crow dispersed to various places in the store (toys, shoes, sporting goods...but mostly toys). 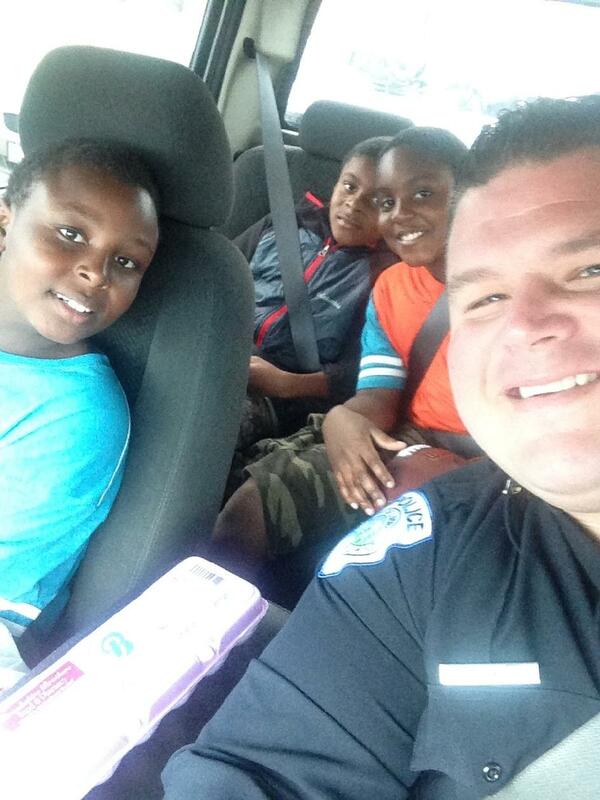 Some of the kids got new bikes, some of the kids got to sit in a police car. 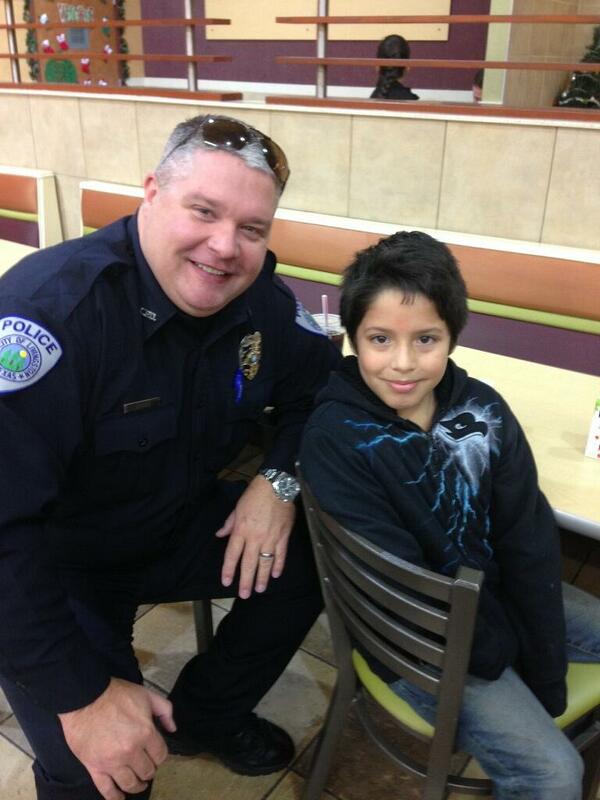 Livingston Police Chief, Dennis Clifton was on hand and took in the whole event with a huge smile on his face.